Commissioned by the TIMES OF INDIA after the success of "Sacred Chants of Shiva", this Sacred Chants of Buddha CD casts a spacious spell of serene beauty and reflection. 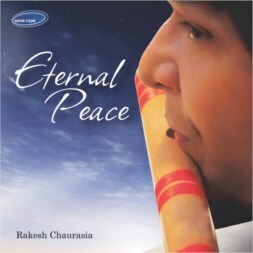 Deep resonant chanting voices are set in an enchanting soundscape of singing bowls, wind chimes, flute, swaramandala. "Buddham Sharanam" shows the power of drums and chanting. Sacred Budhist chants include "Om Mani Padme Hum" and the "Vajra Guru Mantra". The cinematic soundtrack style of the audio production has created a lot of excitement in India, where this sacred chants of budhha album has sold everywhere, in towns and cities alike. Features a full-colour 8 page booklet with text and photographs. 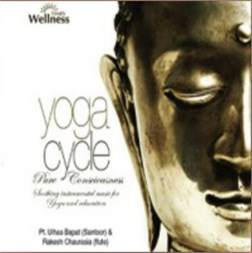 Produced, arranged and performed by Craig Pruess, with special guest vocalist Pundit Vishwa Prakash, appearing on "Buddham Sharanam". 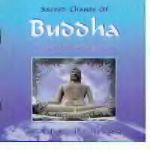 Special instructions are included in this Sacred Chants of Budhha album for using the music in meditation.